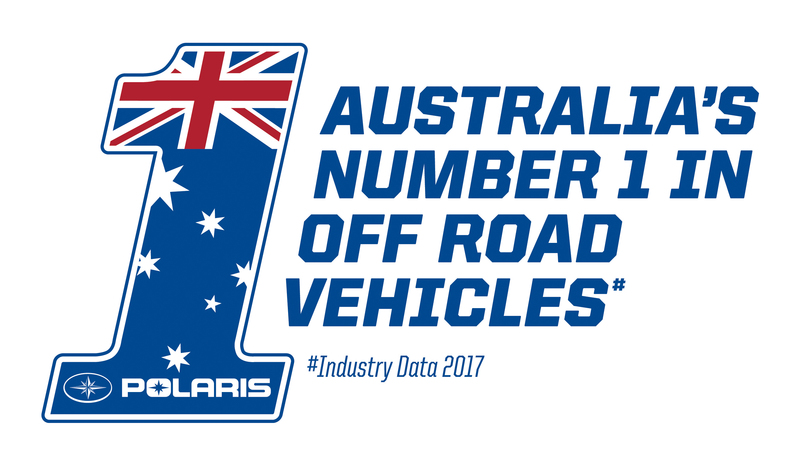 Australia's number 1 Off-Road Vehicle brand continues their unrelenting market dominance with a record first quarter in 2018. Gaining 1.5 YTD market share percentage points on last year, growing the national share to 31%. The US powersports giant is still proving to be Australia's number 1 choice when it comes to Off-Road Vehicles. 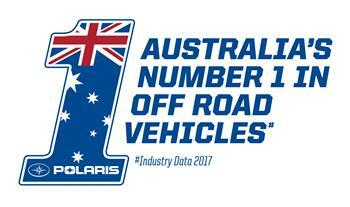 Polaris has captured the hearts and minds of Australian farmers with their exceptional range. Polaris continued reign with Australia's top selling ATV the Sportsman 570 HD EPS, however market dominance in the SXS (Side x Side) Utility category with 43.6% YTD market share and a staggering 59.9% in the SXS Sport category reflected the most significant growth. Offering 23 models with ROPS (Roll Over Protection Structures) there is virtually a model for every application. Polaris ACE® has redefined the off-road experience by offering riders a sit-in chassis that combines the nimble handling and center-seating position of an ATV with the confidence and protection features of a side-by-side. Offering the narrow and short wheelbase of an ATV, it provides an alternative to an ATV with it single seat design and many of the same safety technologies of the Polaris SXS models. ACE has grown 52% in 2017 vs 2016. Polaris Engineered Accessories™ offers a full line of integrated accessories including: roofs, windshields, doors, winches, storage and other specialized products to make riding and working easier for Australian ACE riders. Polaris safety technologies have been taken to the next level with the latest introduction of the RANGER® 150 EFI which joins the ACE 150 and RZR 170 in the youth range with protective cages. The RANGER® 150 EFI, features rider-safety technology designed for parents' peace of mind while letting youth riders experience the fun of driving their own vehicle. Driven by Polaris' RIDE COMMAND™ technology, new safety features include geofencing, digital speed limiting and passcode protected safe-start, which can be controlled from parents' smartphones. Using the RIDE COMMAND™ app and the vehicle's digital display, adults can set riding boundaries for kids using the geofencing feature. Additionally, the Digital Speed Limiting feature allows parents to determine speed limits both within and outside of the pre-established riding areas, helping ensure that kids are riding at the appropriate speed for their age, experience and terrain. The RANGER 150 EFI's Passcode Protected Safe-Start system controls who is operating the vehicle, and when it's operated. Equipped with a seatbelt interlocking system, the vehicle limits max speed to 9.7 kph until the seat belt is engaged. Additional features include a high visibility flag, two helmets, a protective cage, safety nets and LED daytime-running lights and tail lights. Available in Solar Red, the RANGER 150 EFI offers seating for two and is powered by an electronic fuel-injected 150cc engine giving youth riders aged 10 and up the fun of driving their own off-road vehicle. Tilt steering and a 14.5cm seat slider provide adjustability for growing riders, while the 20.3cm ground clearance and 22 inch all-terrain tyres help navigate tough terrain. The RANGER 150 EFI boasts 22.7kg rear box capacity and offers roof, full and half windshield, and front and rear bumper as accessory options. Polaris Industries Inc. (NYSE: PII) is a global powersports leader that has been fueling the passion of riders, workers and outdoor enthusiasts for more than 60 years. With annual 2017 sales of $5.4 billion, Polaris' innovative, high-quality product line-up includes the RANGER®, RZR® and Polaris GENERAL™ side-by-side off-road vehicles; the Sportsman® and Polaris ACE® all-terrain off-road vehicles; Indian Motorcycle® midsize and heavyweight motorcycles; Slingshot® moto-roadsters; and Polaris RMK®, INDY®, Switchback® and RUSH® snowmobiles. Polaris enhances the riding experience with parts, garments and accessories, along with a growing aftermarket portfolio, including Transamerican Auto Parts. Polaris' presence in adjacent markets globally includes military and commercial off-road vehicles, quadricycles, and electric vehicles. Proudly headquartered in Minnesota, Polaris serves more than 100 countries across the globe.